Sure, mashing a random song with a Jay-Z song is old hat, going back to the early aughts when Danger Mouse paired his Black Album with The Beatles' White Album. Then more people mashed-up Jay-Z (like with Weezer's Blue Album and that collaboration with Linkin Park) that resulted with Jay-Z offering up a version of the Black Album custom-tailored for mash-ups. So, yes, mash-ups. 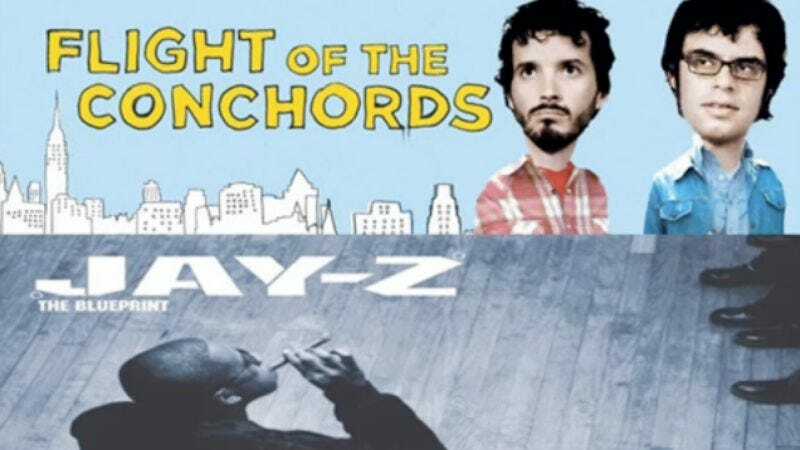 But that doesn't mean the Internet isn't capable of still churning out worthy clips, such as the below mash-up which pairs Jay-Z's “Hola' Hovito,” from his acclaimed album The Blueprint, with “Most Beautiful Girl (In The Room)” by acoustic funny duo Flight of the Conchords. The end result is pretty great, funny slow jam with dueling attempts to woo ladies that makes for a good track to ease into the weekend.